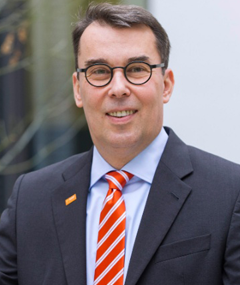 Stefan has taken over the role of BASF’s Chief Information Officer as of November 1, 2017. He is a Senior Executive with international experience in various lines of business, such as Process Industry, Telecommunications Industry, Automotive Industry and Mechanical & Plant Engineering. Responsible for IT Strategy, global Business Process Management, Enterprise Architecture, Cybersecurity, Process Audits and IT Key Account Management for BASF’s divisions.